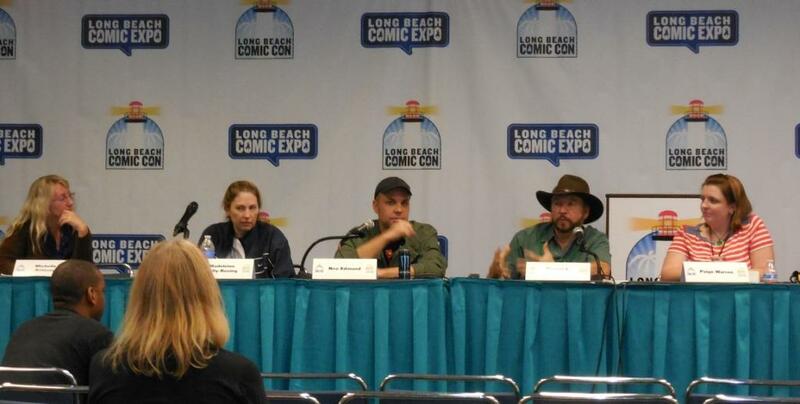 On Sunday, a panel discussion was held at the sixth annual Long Beach Comic Con on the topic of creating awesome female characters. Moderated by Michele Brittany, “Beyond Clichés: Industry Experts Discuss How to Create Awesome Female Characters” featured Madeleine Holly-Rosing, Neo Edmund, Steven L. Sears, and Paige Warren. Sears stated at the outset, “I hate these panels and I hate the necessity of these panels, but I am glad that we are having this discussion, because we need it.” As Holly-Rosing noted, “we are so accustomed to seeing men in certain roles”, but we need to take a step back and think about that, even women. Another issue is that those people making the decisions up top are usually men. “Women are underpresented in almost every category of the corporate world,” said Sears. It’s going to take a lot of time and it’s going to take work for things to change, not only personnel-wise, but also in their decision-making regarding gender. Sears certainly provided a great perspective, having been intimately involved in the television industry for decades, including sharing some examples of his having to defend having women characters in certain roles. Just as I had seen him on a panel at the Long Beach Comic Expo, I greatly enjoyed his views and wisdom on this panel. For some hard data on the lack of ladies having significant roles, Holly-Rosing pointed out a survey conducted by the Geena Davis Institute on Gender in Media that women have a small fraction of leading roles and speaking lines (see, for instance, this study, which found that, in popular films across 11 different countries, only 31% of speaking roles are occupied by females and 23% of films feature a female protagonist).